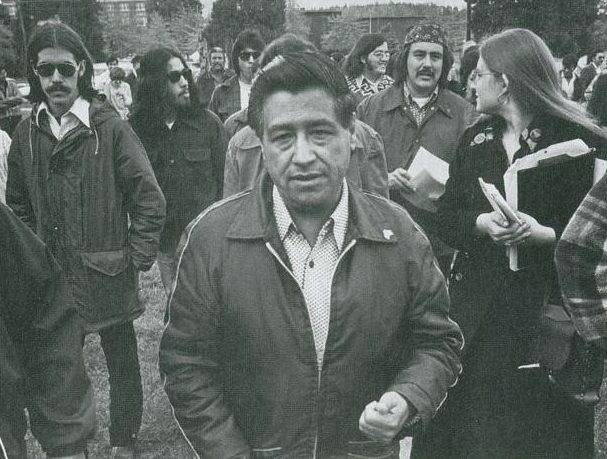 In recent years rabid open border advocates and Leftist politicians have readily invoked the image and mythology of Cesar Chavez, the leader of the farm labor rights movement in the 1960s and 1970s and the co-founder of the United Farm Workers (UFW), to push their agenda. Unfortunately, they have done so by pushing a distorted and revisionist history of the activism of the Yuma, Arizona, native to further their goals of unlimited immigration and importation of cheap labor. I will not let bigots co-opt Cesar Chavez’s Birthday. It is an injustice to history to ignore an important part of the legacy of Chavez and the union which he led. His activism in favor of immigration enforcement bears directly on the current immigration debate. For example, it was during an October 1, 1969 hearing of the House Education and Labor Committee that Chavez criticized the use of the 72-hour pass by illegal immigrants and their disrespect for U.S. immigration law. The onetime migrant worker further noted to the members that legislation might help, but would fail to address the “other problem” with the easy access to green cards. While today’s open border advocates decry the notion of E-verify, Chavez spoke to the problems not having the ability to verify was creating. Nor would Chavez be in the same city, much less camp, as those lawmakers who slander border control agents and tougher enforcement measures. Little had changed about enforcement of immigration law – or about Chavez’s view of illegal immigration when he testified the Senate in 1979. “For so many years we have been involved in agricultural strikes; organizing almost 30 years as a worker, as an organizer, and as president of the union–and for all these almost 30 years it is apparent that when the farm workers strike and their strike is successful, the employers go to Mexico and have unlimited, unrestricted use of illegal alien strikebreakers to break the strike,” Chavez told senators. “And, for over 30 years, the Immigration and Naturalization Service has looked the other way and assisted in the strikebreaking,” he said. That same year, a New York Times article addressed the “many reports of alleged brutality against aliens by the U.F.W.” that were appearing in Mexican papers, but not by American news outlets. When the allegations were raised with Chavez, he acknowledged: “We had a ‘wet line;’ it cost us a lot of money, and we stopped a lot of illegals,” the paper noted. If Cesar Chavez Day is to have any meaning, there must be a fair and accurate account of his views. Previous ArticleAnti-Sanctuary City Trickle Becoming a Flood? Putting all the IQ’s of all democrats together still doesn’t reach the number of their body temperature. Their stupidity is as apparent as their lies. In 1969 Chavez led a protest at the southern border against illegal entry. Joining him were the Rev. Ralph Abernathy and Senator Walter Mondale, later vice president and the Democratic presidential nominee in 1984. But like an endless list of anti-illegal statements and actions by almost every Democratic leader in the ensuing years, including both Clintons and Obama, that has all disappeared like 1984’s Big Brother, where there is only today’s “truth”, abetted by a compliant media. There are also always the cliches that illegal advocates constantly spout and that are provably false. One is that “a tomato will be three dollars”, which ignores the fact that many crops, including all tomatoes for canning, are harvested mechanically. Most vegetables can also be grown hydroponically, a little more expensive initially, but it pays off with increased yields and less labor costs as stoop labor is almost eliminated. It’s essentially factory work. Picking is actually just a small fraction of the total cost of what ends up on the market shelf. And another big factor is that many fruits and vegetables, including avocados and salad tomatoes, now come from Mexico. Just read the labels. ONE-THIRD of all “cheap” labor illegal farm workers in Mexifornia end up on welfare! The moment they step over our borders the anchor babies start and guarantee them 18 years of welfare! I did not realize that Chavez was anti illegal immigrants. It makes sense, because the illegals deprived the American farm workers of jobs and decreased wages by underbidding American workers. The fewer the illegals, the better for the farm workers in the union.